As with most websites, when you visit the www.theqmcgroup.com, certain anonymous information about your visit is automatically logged, which may include information about the type of browser you use, the server name and IP address through which you access the internet, the date and time you access the site, the pages you access while at www.theqmcgroup.com, and the internet address of the website, if any, from which you linked directly to the www.theqmcgroup.com. This information is not personally identifiable. We may obtain this information by placing a "cookie" on your computer's hard drive so we can recognize you as a return user and personalize your experience. A cookie is a piece of data that enables us to track and target your preferences. The cookie will be stored on your computer's hard drive until you remove it. As with most internet browsers you can erase this information from your computer's hard drive, block all cookies or even receive a warning before a cookie is placed on your system. Click on your Browsers Help button for more information. If you reject our cookies, you may still use the website, but you may be limited in the use of some of the features. The QMC Group uses non-personally identifiable information for internal business and marketing purposes and to help it administer and improve this website. The QMC Group may also use this information to provide information about this website to its affiliates, advertisers, partners, potential business partners and other unaffiliated entities. Personally Identifiable Information is any information that concerns you individually and would permit someone to contact you, for example, your name, address, telephone/fax number, social security number, e-mail address or any information you submitted to www.theqmcgroup.com that identifies you individually. Personally identifiable information may be collected by The QMC Group if you choose to communicate with us through e-mail, via this website, by telephone, in writing, or by such other means. The QMC Group will not collect any personally identifiable information about you unless you provide it. Therefore, if you do not want The QMC Group to obtain any personally identifiable information about you, please do not provide to The QMC Group any such information. You can visit and browse the The QMC Group website without revealing personally identifiable information about yourself. 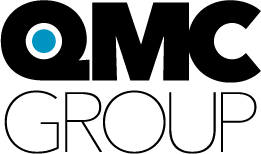 The QMC Group may use the personally identifiable information collected through its website primarily for such purposes as: helping to establish and verify the identity of users; opening, maintaining, administering, and servicing users' accounts or memberships; processing, servicing, or enforcing transactions and sending related communications; providing services and support to users; improving the website, including tailoring it to users' preferences; providing users with product or service updates, and other information about The QMC Group and its affiliates; responding to your questions inquiries, comments and instructions; maintaining the security and integrity of its systems. The QMC Group does not provide personally identifiable information to unaffiliated third parties for their use in marketing directly to you without your consent. The QMC Group may use unaffiliated companies to help it maintain and operate its website or for other reasons related to the operation of its business, and those companies may receive your personally identifiable information for that purpose. The QMC Group may also disclose personally identifiable information about you in connection with legal requirements, such as in response to an authorized subpoena, governmental request or investigation, or as otherwise permitted by law. Furthermore, as The QMC Group 's business develops, it may sell or buy corporate assets, and in such transactions customer information will be shared with such third parties and may be one of the transferred business assets.